Sometimes a break from your normal routine isn’t quite enough. 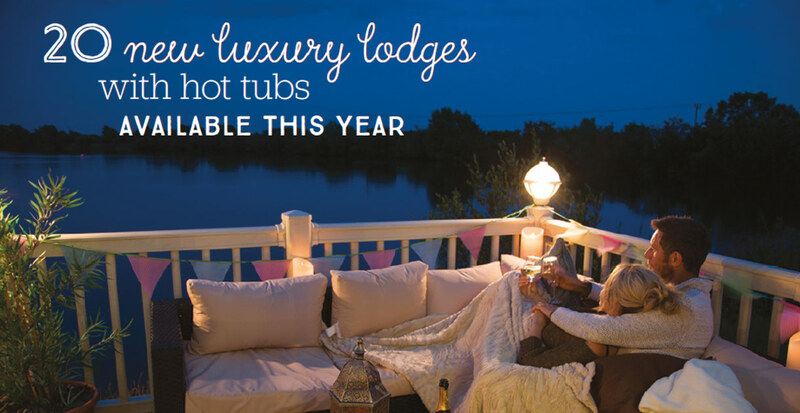 Sometimes you need to feel that bit special – and that’s where our lodges really hit the spot. The instant you step inside an Away Resorts lodge, you’ll be struck by the sense of light and space around you. 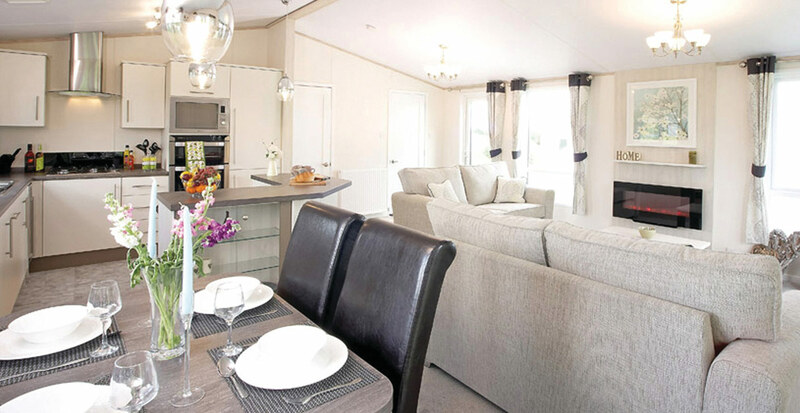 They’re not just a little bigger than our most luxurious caravans – they’re about twice the size, the equivalent of two caravans joined side by side. The extra width and ceiling height give a luxurious sense of room to relax. The lounge areas are bright, inviting and calmly secluded from the outside world, and the extra space means there’s room to fit freestanding furniture. 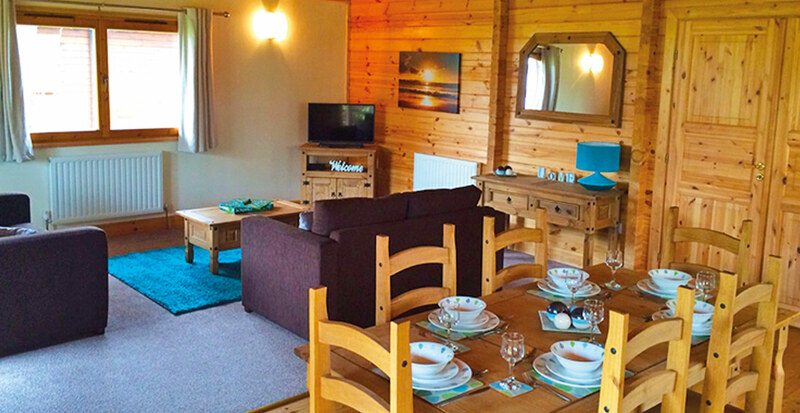 The whole family can stretch out on the large, soft sofas, and there’s cosy fires to put your feet up in front of. 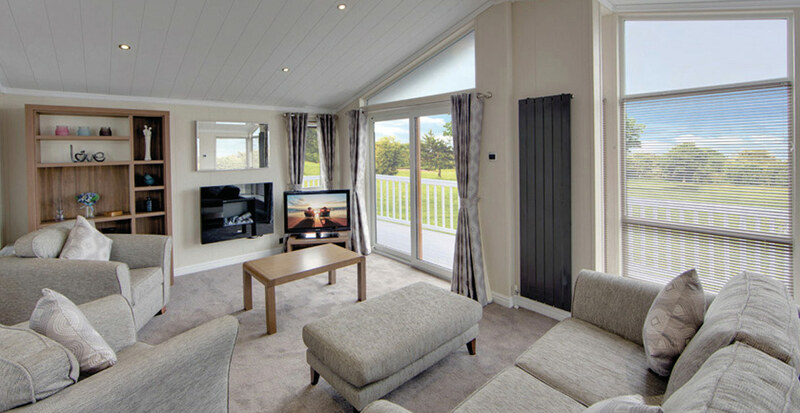 Wonderful views spread out behind the two french doors, and every lodge has its own decking area, opening from the lounge, where you can settle down with a cool drink and watch the world go by. 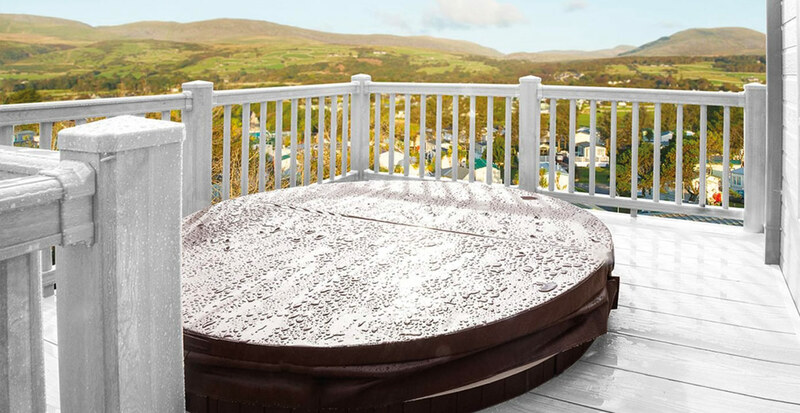 Many have hot tubs, and we’re rolling out 20 new lodges with hot tubs in the months to come. The kitchens are smart and well laid out, making it easy and fun to whip up a meal for the family when you need to, and you can sit and eat in elegant comfort at the full sized dining table and chairs. The bathrooms and bedrooms are also more spacious than you’ll find elsewhere. It all contributes to the feeling that you’re in a roomy house, not a caravan. The final touches are the chic, sleek designer décor and the quality of the furnishings. 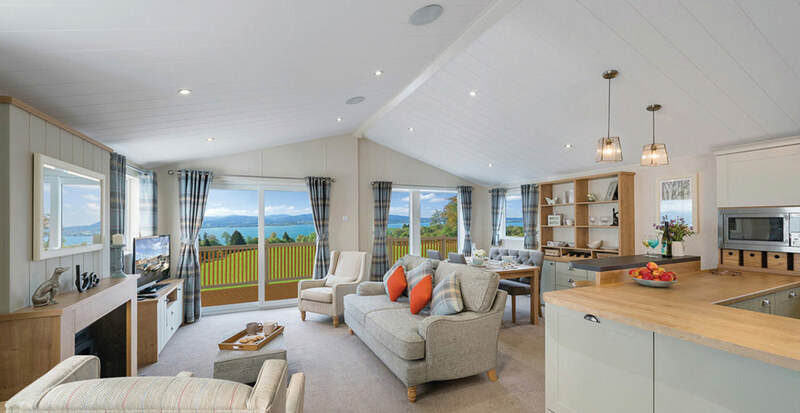 The lodges that we offer are the ultimate getaway-from-it-all accommodation, offering you the same exclusive feel you get from a smart hotel room, but with tons of light and space along with a delightful sense of privacy. All images used are for illustrative purposes only. Individual features such as furniture, decor and other materials’ colours may vary.